Hair glitter comes in many different guises. There are your obvious glitter hair trends—the biggest being glitter roots and glitter-tastic festival looks, but thanks to the ombré sparkles seen at Valli S/S 19, we're now starting to see slightly more-wearable ways to wear the trend filter through. We'll admit that we're into it. Because, yes, it turns out that there are lots of different ways you can wear glitter in your hair without looking like a unicorn just sneezed on you. From sprinkles of sparkle that catch your eye in the light to subtle hair tinsel that throws us back to the noughties, if you've ever wanted to experiment with hair glitter, now's your chance. Keep scrolling for nine hair glitter ideas plus the products you'll need to try out the trend IRL. Created by hairstylist Amber Fairlie, this gorgeous glitter ponytail is perfect for an NYE hair look. Use different sizes of (biodegradable) glitter around your ponytail leaving the rest of your hair clean and smooth. If you're into glitter hair looks then you need to follow Wynter DePriest's IG account @monarchhairco now. She creates stunning glitter hair looks out of @xohair_studio like this chunky star creation. Hair tinsel your kinda thing? These super-subtle strands give your hair a mirror-like sheen that we LOVE for NYE. Goddess Glitter Hair is U.S. based, but it ships to the UK, too. We can always trust @asos_faceandbody to give us a good dose of beauty inspiration. This cute bunches style uses EcoStardust Flamingo Biodegradable Glitter (£6) sprinkled in the hair for an extra party-esque glitz. The biggest glitter-hair fail? Dandruff looking sparkles. Avoid the flaky look by making sure your glitter pieces are large enough to really be noticeable against your hair, like this gold and pink look created by @monarchhairco. We can't get enough of this icy-hued style, again by glitter hair genius @monarchhairco. Use a glitter gel (like Unicorn Snot, £8) to act as glue throughout the hair before sprinkling different-sized glitter pieces along the length of the locks. If you're still not completely sold on the glitter hair vibe, try something subtler, like this sprinkle of sequins throughout the hair length. To avoid it looking dandruffy, stick to chunkier pieces of glitter and make sure you're distributing them along the whole of the hair length. Why not try re-creating Giambattista Valli S/S 19 show, where models took to the runway with beachy waves packed full of ombré glitter? Silver sparkles give blondes an icy, festive feel. 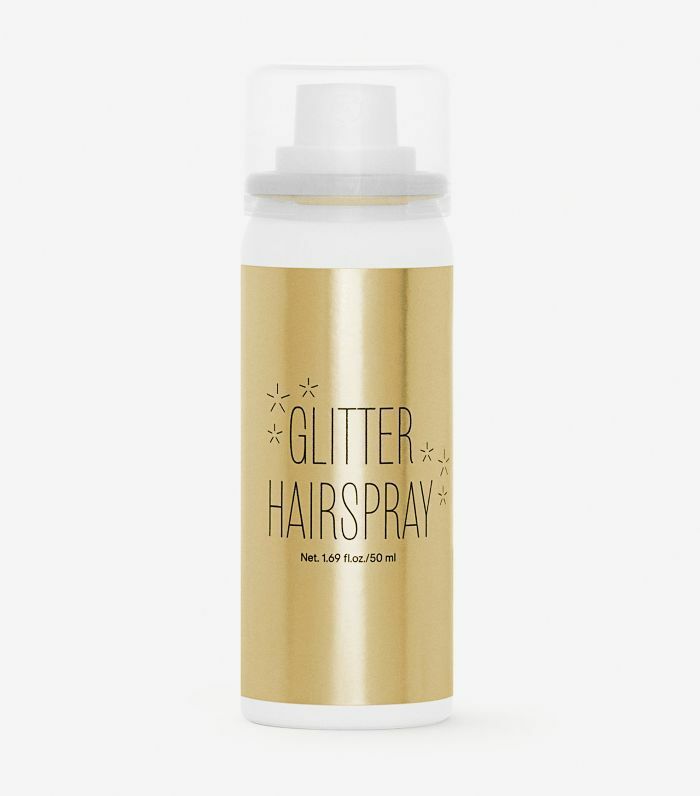 For a subtle amount of sparkle and shine, H&M's glitter hairsprays are perfect. 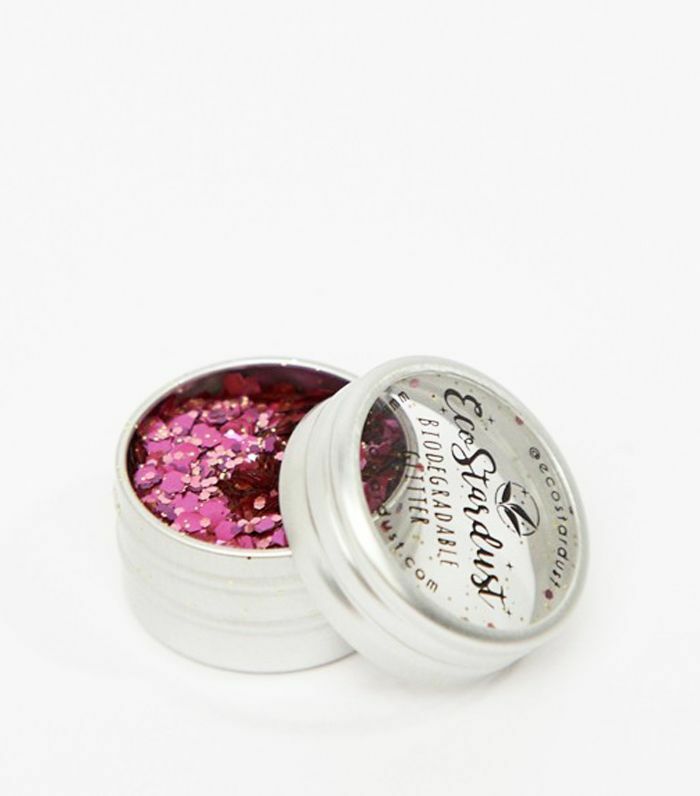 These EcoStardust glitters are not only biodegradable but they also come in a variety of colours, textures and sizes. 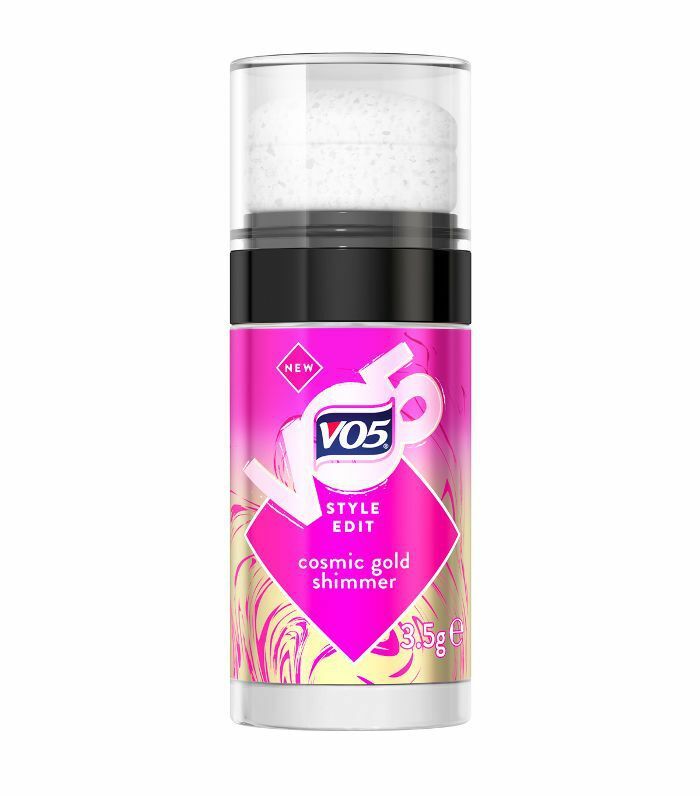 This multicoloured hairspray is the easiest way to do glitter hair IRL. It's a subtle but gorgeous way to wear the trend. Read Byrdie's full review here. Pat this shimmer throughout the lengths of your hair to give your strands a sheen-like finish. Then, sprinkle chunkier pieces of glitter on top for a full-on shine. 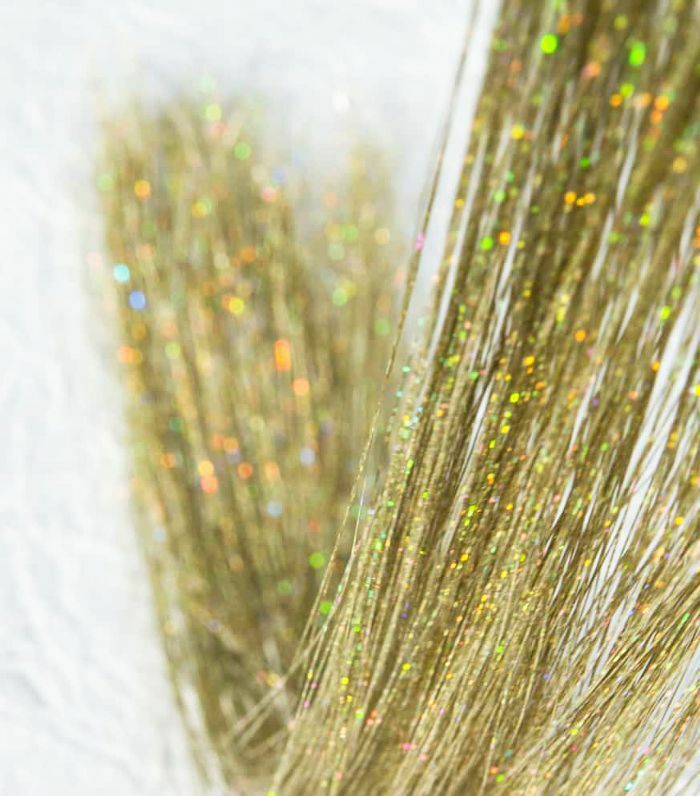 These Goddess Glitter strands are designed to be tied individually around single pieces of hair. They're heat and colour resistant, and if you're really into the look, they can last up to six weeks.